We believe in helping pharmacists achieve leadership, professional practice, and business success. At at a macro level, equipping new practitioners with these skills and tools is critical for the development of strong profession that is truly reflective of the value added services and care pharmacists can provide for patients. To curate a connected group of entrepreneurial community primary care practitioners and assist them to achieve business innovation and leadership excellence. Through sustainable, structured programming dedicated to connecting the next generation of licensed pharmacy leaders and owners amongst themselves and with experienced practitioners to build business relationships and share best practices. 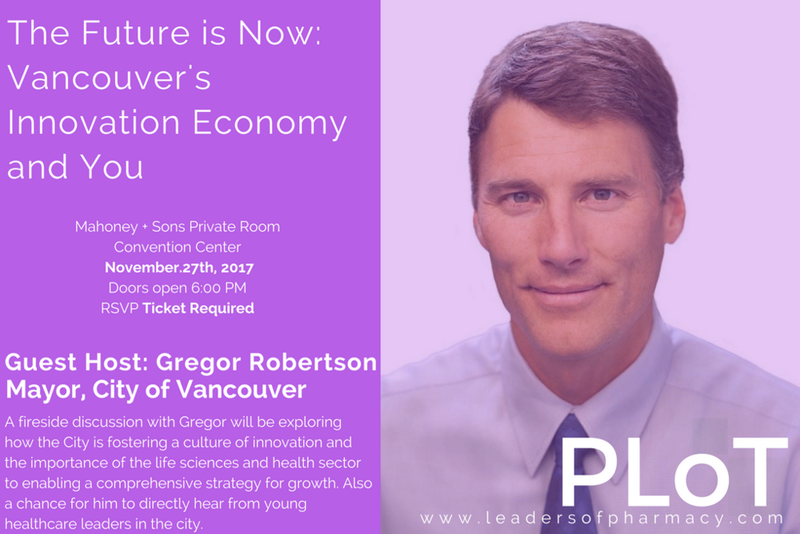 PLoT is a first of its kind in Canada platform spearheaded by a diverse group of pharmacists that promises to inspire, motivate, and drive your pharmacy's success and growth. It serves as a structured networking forum for recent UBC Pharmacy graduates where participants share and learn business, professional practice and leadership skills necessary for personal and business success. We're bringing the young pharmacy alumni community together and helping them get connected to the broader business community. See what we have to say..